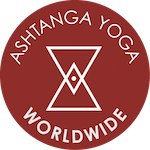 This is the Ashtanga Yoga Primary Series Sequence. It is meant to be used as a resource to help with memorization for Mysore classes. Do not bring it to class. Only practice or memorize up to the posture you have been taught in class. *Shared with permission from the Calgary Ashtanga Yoga School.